Maggie Campbell DipWSET is Head Distiller and Vice President of Privateer Rum, she is also founder of the Denver Brewer’s League, serves on the Board of the Directors of the American Craft Spirit Association and co-chairs their Education Committee. She is also the North American representative on the WSET International Alumni Advisory Board, all of which she manages while studying for her Master of Wine. You’ve been named one of the top ten female distillers and blenders of 2016 by The Spirits Business in an industry that is predominantly male-dominated. How do you see the role of women changing in the distilling industry? Women have always played an important role in distilling but often lack the visibility they deserve. From the women alchemists of North Africa who held the secrets of distilling and kept it alive after learning the techniques from travellers on the trade routes with the east, to the wives of scotch distillers running the operations while their husbands were away on business, to today’s master distillers, there have always been women at the helm of the still. We often have a picture in our mind (and here in the US it is definitely connected to the cartoon image of John Wayne on the frontier, breaking free from the corner office) that reinforces a narrative that excludes women. One of the things I find most exciting about rum is that it is made in Asia, Oceania, Africa, the Caribbean, South America, North America, Israel, and even Europe. It is a truly global community. Some of the top rum companies are headed with women and people of colour. Appleton, Zacapa, El Dorado-all have women at the helm. No other spirits category can claim that level of diversity and inclusion. What are the main priorities when setting up a distillery? Most people aspiring to distill get hung up on the actual distilling. While obviously important, it is just as important to understand the local laws, distribution in your target market, drinks tourism, employee management, accounting, and how the consumer interacts with your product. Making great product does not sell that product and with the capital investment of distilling you really need to succeed as quickly as possible at sales. I absolutely think professional training in distilling from multiple sources is a must. I think everyone who aspires to distill should take at least a year to travel on weekends or go on holiday to visit other distillers and take in their experience, especially in established distilling cultures. In the US distilling has only been resurrected a short period of time and I see a lot of people teaching each other poor practices or reinventing the wheel. You will see as much of what to do as what not to do on your travels. If you are too impatient to groom your skills and observe the community for a year you should reconsider distilling. We work on a scale of decades and generations, not weeks or months. How do you battle the big brands as a smaller producer? We do something very different than the big brands. We make being small work for us. We created something we wanted the world to taste (unadulterated rum, from the cask and from the still) and we connected with the people it spoke to. As a small brand we can have meaningful contact with the market and they can come see the distillery anytime. Instead of saving a penny here and a penny there by cutting corners we look to earn a dollar here, earn a dollar there based on elevating quality with our choices. A big brand has to create marketing to get people to buy their product, they have to be in every bar, they have to stuff the channel. We rely on giving our customers what they want, what the big brands aren’t giving them. We are just a different business and a different rum. We don’t even have a marketing department. We know we can grow and be successful by making the best rum that we can and connecting with our customer personally. Many spirits brands are just that, a brand. They don’t own a still, or even any barrels. They purchase bulk alcohol and bottle it in their brand identity. They may even source from a number of spirits factories. I would never assume to know more about someone’s business than they do, so I would never say what I think is best for them. For us it is important that we take a simple ingredient, sugar cane, and bring it to life in fermentation, distill it, coddle it through its aging, and release it with our signature. This value added work is what creates company wealth. If we bought premade spirit we would not be adding much value by simply bottling it. As a former buyer I also know how badly the market is overcharged and taken advantage of by these brands. The ingredients in the bottle may be US$2.50 but they are charging you US$40. There are some bottlers who seek out special offerings and bring them to the world – I can clearly see how these offer real value that a bulk alcohol manufacturer’s product does not. Across the world, do you think education in spirits is taken as seriously as education in wine? No, not yet. Big brands control most of the education provided for bartenders and buyers. You cannot rely on a brand to give you accurate information, they’re goal is simply too intertwined with their bottom line. 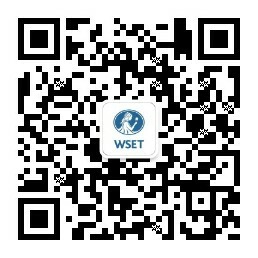 I am very passionate about seeing the WSET spirits programme spread because I think it is one of the few independent, high quality, and comprehensive spirits education programs that does not have a brand agenda. Spirits is every bit as sophisticated as wine, and truly shares so much in common with it. From Mezcal agave microclimates, soil types for cane, varietals of corn, vintages for cognac grapes and eau di vie, fermentation temps, yeast selection, climate of elevage, effects of aging, cellar conditions, oak characteristics, tannin polymerization, cask selection and blending, so very much of distilling knowledge mirrors my already built in wine knowledge. It is very exciting to see Jancis Robinson add ‘Drinks not Wine’ to her website columns and I still hope for my silly dream I had when I was 22, to write a spirits column for Decanter magazine! You presented the TED talk ‘Living a life without compromise’ a few years ago, what drives you? Distilling is exhausting physical work and taxing mental work (a mountain of paperwork, label approvals, product launches, taxes, employee reviews, etc.). You have to connect to it in a meaningful way if you are ever going to get your energy replenished by the work. For me that means seeing past the hard technical training I have, to the traditions, fables, and alchemy of distilling. There is a great deal of distilling knowledge we don’t have the science for yet. Filling in those spaces with more romantic ideas, such as elevage, helps feed your heart and mind when reserves are low – you feel connected to history and nature. In time, science often goes on to prove many of these things as true! Think of how recently we didn’t have the science to explain fermentation. When it comes to our drive it all flows from one question: what is best practice? We want to make the top quality decisions to make the best rum possible. It feeds all of our conversations, all of our company policy, all of our decisions and employee training. Every member of the crew feels connected and like what we are doing is very special and they have a personal role as a guardian of the rum. It leads to high satisfaction, high quality work, and high quality rum.